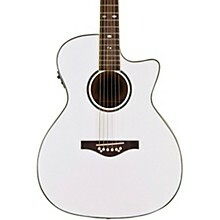 The Daisy Rock Wildwood Artist Acoustic-Electric guitar is a full-scale instrument designed specifically for girls. 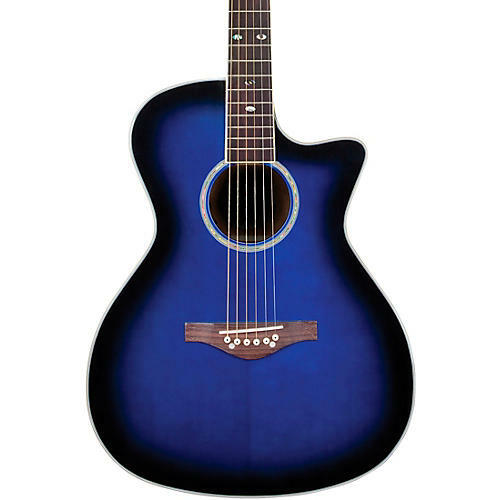 This guitar's “Slim & Narrow” neck makes even the most challenging notes and chords easy to reach for a girl with smaller hands. Its single-cutaway body allows complete access to the fretboard, while the spruce top with mahogany back and sides gives the guitar an amazing tone. The Fishman Isys T Piezo System pickup and built-in preamp with tuner gives you all the tools you need for the stage. All Daisy Rock guitars arrive set up, ready to play and include a limited lifetime warranty.